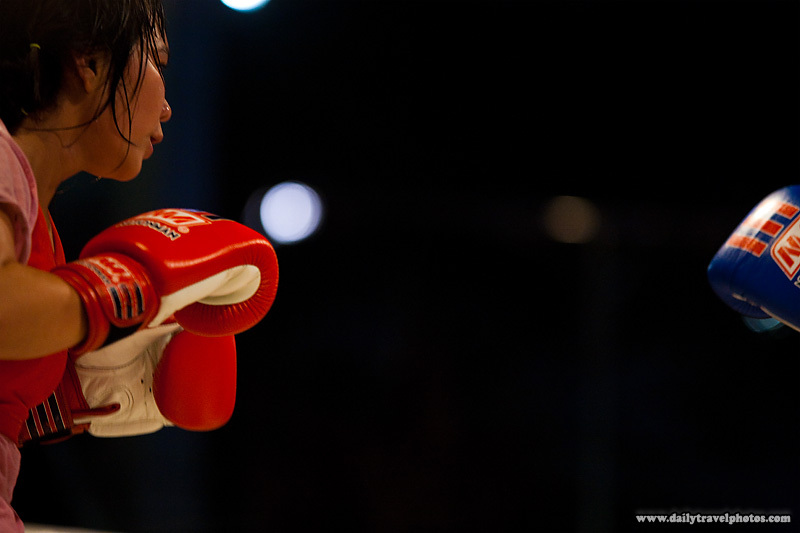 A female muay thai kickboxer receives a kick, sending sweat flying. 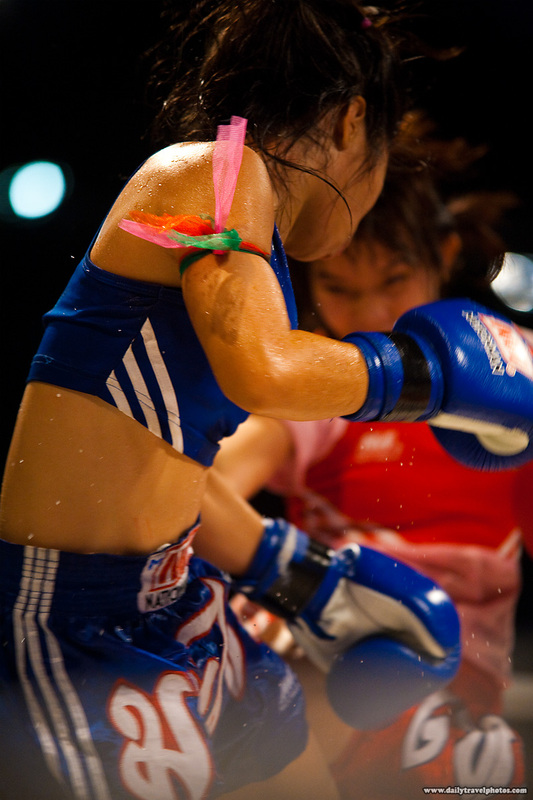 It's difficult to determine from this photo alone but these aggressive young girls were only around 16 years old! More photos below of the same girls. 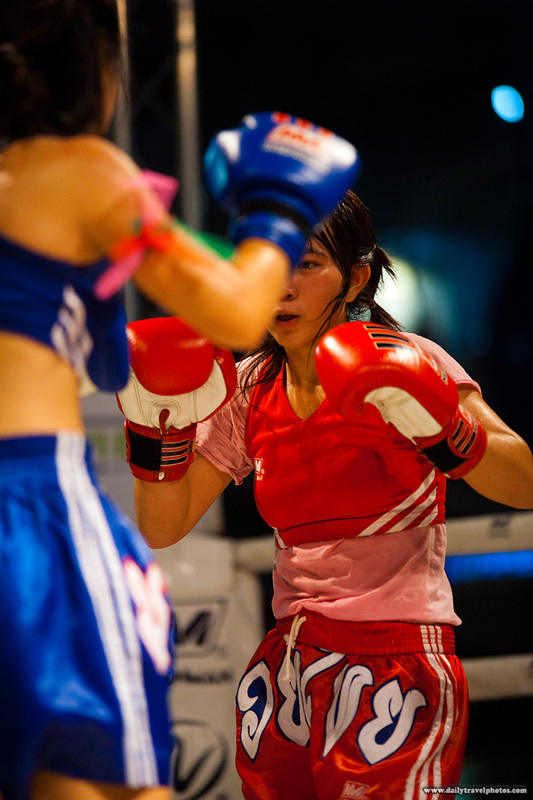 Two female muay thai kickboxers square off in the middle of the ring. Sorry about the lackluster title today. I'm testing out some search engine optimization (SEO) trying to hopefully hit the sweet spot with a very generic title. We'll see if it works.